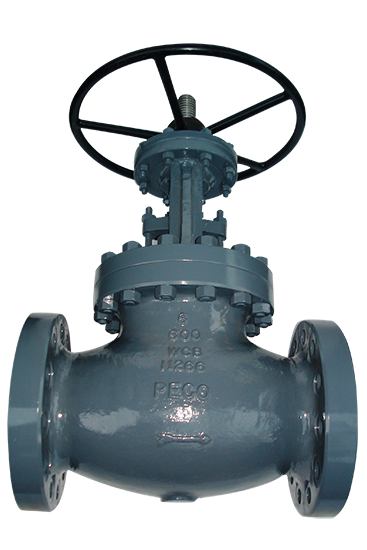 PECO Valves is a premier manufacturer, supplier and exporter of superior quality industrial Globe Valves. PECO is a reputed name in valves for isolation, control, and flow reversal applications. Peco Globe Valves are manufactured to BS 1873 and tested to API Std. 598. This valves are used where throttling or both throttling and shut-off are required. These are widely used in critical industrial applications like steam, utility, and process pipelines. From barstock in carbon steel or stainless steel (304, 316, 304L, 316L. 321) Hastelloy B & C & Alloy 20 for sizes 15 mm to 50 mm. Castings in carbon steel to ASTM A 216 Gr. WCB, WCC, LCB, LCC. Casting in stainless steel to ASTM A 351 Gr. CF 8/CF 8M/CF 8C/CF 3/CF 3M Alloy 20. Hastelloy B & C.
Castings in C.I. to I.S. 210 Gr. FG200/220/260. Castings in Alloy Steel to ASTM A 217 C5, WC6, WC9, WC12. Outside screw rising stem rising handwheel construction threads are away from fluids and easy to lubricate. Body and bonnet made from high quality casting with liberal sections. Seatring screwed into the body are replaceable. Back seatring features facilitate repacking of the stuffing box on line with valve in fully open position. Plug type disc designed to give leak tight seatring over a long period of in built wear life. Stellite seatring and disc can also be offered on special request. The valves of higher pressure and bigger sizes are provided with thrust bearings and also with gear drive arrangements and flange also can be offered for different standards.